Imago KwaZulua consists of a community of Imago practitioners who are passionate about facilitating relational health. After a difficult marriage that I sadly gave up on, I decided to explore the world of Imago with my life partner, Mike. We attended a “Getting the Love You Want” workshop together, as well as some Imago sessions as a couple, and I began training in this modality. We have never looked back from the time we discovered the “magic” of this different way of being in a relationship! We now understand why conflict occurs between us, and we have the tools to ensure that our differences actually give us an opportunity to grow and heal together, rather than tearing us apart. And I am delighted to say that my two beautiful adult daughters have also embraced the Imago way of being in relationship with their partners! Since I have been applying Imago Therapy with couples in my practice I have witnessed phenomenal healing in the “space between” the beautiful souls that walk through my door. For so many of them, this has been the final attempt to make it work, and they have found the key to a wonderful relationship through Imago. I am a Certified Imago Therapist and a Workshop Presenter in training, running “Getting The Love You Want” couples workshops on a regular basis. I truly believe in the power of Imago and I would love every couple to experience it! I have worked in a range of therapeutic and assessment settings with children, adolescents and adults. I first experienced Imago through Hedy and Yumi Schleifer in 2000 when my husband, Richard, and I attended a Getting the Love You Want couples workshop.I immediately “fell in love” with Imago and knew it was the answer to all my searching for a safe place to work on my relationship with Richard, as well as the best method to inform my own work with couples. I am continually learning and growing through Imago and have recently started to experience the “real love” stage after many years of journeying and doing the work with Richard. As Richard says – “we have learnt to think and be dialogical” and our dance is no longer characterized by reactivity. We are more and more responding to each other with deep understanding, conscious responsiveness and graciousness. No relationship is perfect and indeed ours is not, however we both feel so much more competent and equipped to deal with issues and find ourselves closer than we have been for years! I love working with couples now because Imago Relationship Therapy has provided me with a tool box sine que non, and being able to offer couples the option of attending a workshop provides the flexibility and depth many struggling couples need to grow and heal their relationship. I offer 2-3 day Intensive Couples sessions during which time I work with one couple to explore the dynamics of the relationship, help the couple re-connect emotionally, and facilitate ways of re-solving frustrations through the use of the Imago Dialogue. I am available for online sessions as well as 2 day intensives. I hold Masters Degrees in Counselling Psychology and in Clinical Pastoral Care (Stellenbosch, 2005; 2001) and started my own practice in the Northern suburbs of Cape Town (2005- 2012) and relocated to Hilton KZN. In my practice I consult with people of all age groups about a range of problems. I also consult with couples, families and people experiencing difficulties in their work relationships. I provide psychological services in both English and Afrikaans and have an interest in Imago Couples therapy changed my life forever….. I signed up for an Imago Singles Workshop not knowing what it entails but as a psychologist I was keen to do the training. Never had any theory made so much sense and helped me understand why I do relationships the way I do. I felt ten tons lighter, more in tuned with myself and less of a failure in my relationships. Soon after I signed up for the training and started using this therapy in my own practice. Feeling the difference in my own life and seeing the changes in the couples I worked with I was sold on Imago. Because of the workshop I started doing relationships differently, more intentional, more consciously and started taking ownership of my projections and my issues. Doing the work prepared me for meeting my high school sweetheart again after 20 years. We are engaged and are blessed with a beautiful boy Danté. I am a social worker in private practice. When I qualified, I worked at the Dept of Social Welfare dealing mainly with teenagers with family problems. From there, I worked at FAMSA for 7 years doing marriage counselling. During this period, I completed my Masters Degree focussing on marital and family therapy. My thesis was examining the effect of being self-employed on marriage. I started my private practice in 1995, and I qualified as an Imago Relationship Therapist in 2005. I have also supervised and lectured 4th year social work university students during this time. As a result of this, I completed my PhD in 2016, and the topic of my thesis was “Marriage in contemporary Zulu society: implications for couple counselling”. After beginning my career as a Social Worker I went on to complete a Master’s Degree in Clinical Psychology in 1994. I did my Imago Clinical Training with Hedy and Yumi Schleifer in 2001/2002, which was a truly wonderful learning experience. I enjoy seeing individuals and couples in my private practice in Scottburgh, on the South Coast, and I am also very involved with Alzheimer’s KZN. Being married to Lennart Eriksson for the past 8 years has enhanced my life and I am fortunate to have a very special stepdaughter, Carolyn. I completed my B.Sc (Psychology Major) at the UKZN (Pietermaritzburg) in 1988 and went on to complete my Social Science Honours at UKZN (Durban) in 1992 and my Social Science Masters in Clinical Psychology at Rhodes University in Grahamstown in 1995. I have been in private practice since 1996 and work with individuals and couples, have an interest in depression, anxiety and grief counselling, and my orientation is largely psychodynamic. 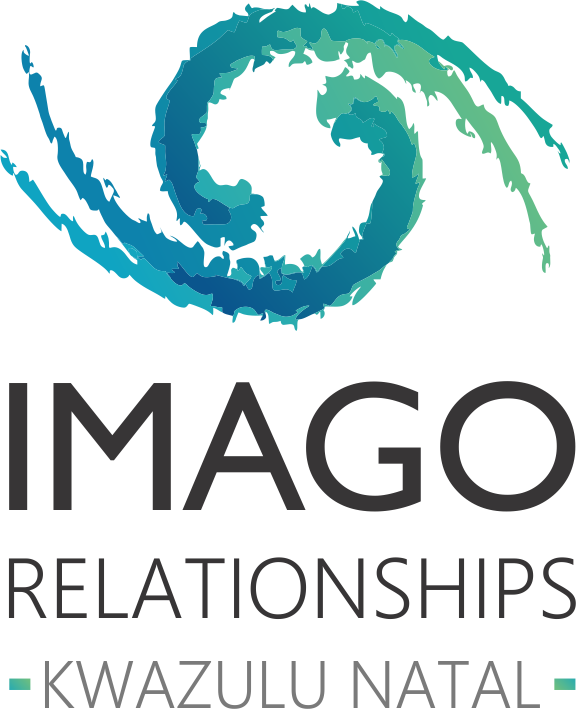 My first experience with Imago was as a client in 2004 when my marriage was in crisis; through therapy we learnt how to connect and communicate more effectively. Imago Therapy provides a safe forum for expressing relational frustrations that can be transformed into growth and healing opportunities. The “Getting the Love you Want” Workshop is a wonderful 2 day workshop which explains why we are attracted to our partners and teaches ways of resolving ruptures in the relationship. I love Imago because it makes so much sense and because it provides powerful processes for healing and growth. I am passionate about the healing relational possibilities it presents for us with the relationships we enjoy, as we work daily to become conscious and intentional individuals. I am a Certified Imago Therapist , Workshop Presenter and International Clinical Instructor and together with my colleague Carol-Ann Dixon run regular weekend workshops for Individuals, parents and Couples which are truly transformational and connecting experiences. The therapy space has always been of vital importance to me; however I did not know what was lacking until I experience Imago and the magic it brings to the quality of the space between people. Imago found me when I needed safety more than anything else. Through couples counselling and a weekend Getting the Love You Want workshop I discovered a new way to communicate and love, not only in my own relationships, but also in my practice. Working with relationships is such a privilege and I am so excited to see what the rest of the journey has to teach me. “The problem with communication is that we do not listen to understand, we listen to reply” (anon). Every relationship is unique, and different therapies resonate differently with people. As a qualified social worker, I support Imago Relationship Therapy. A relationship does not have to be “broken” before embarking upon the Imago journey. A relationship “tune-up” is just as important as a “fix”. Most relationship challenges stem from a weakness in communication, not in the skills of one or both partners, but in the bridge between different communication styles. I help couples uncover not just the roots of their challenges, but also their own subconscious expectations and goals. All of this can be achieved through Imago Relationship Therapy, a programme which explores all facets of a relationship, builds on its strengths and explores the disconnects, both real and perceived, to build better and healthier bonds of communication. A happy relationship isn’t a destination, it’s a journey, and I guide couples along that journey. Together, we create a framework for sustaining good communication practices that are unique to each relationship. After being a stay at home mum for many years, I decided to investigate the science of Psychology in my late 30’s. I began studying part time and completed my undergraduate Psychological Counselling degree in 2010. I then unfortunately found myself in the grips of a divorce and changed my direction for a little while. In 2011 I completed a Post Graduate Certificate In Education at UKZN. I began teaching and embarked on my Honours Degree part time which I completed in 2015. Right throughout my period of studying I counselled at The Open Door Crisis Centre in Pinetown. I became more and more convinced that I had chosen the right career for me. I did the Imago Singles course and absolutely knew that I had found my new passion. This theory was so logical and so much made sense!! In 2017 I completed the Imago Facilitators Training in Pretoria. I have attended many magical workshops since and am now completing my Clinical Training in Imago. My 2nd husband and I have attended the Getting the Love you Want workshop and find the tools we have acquired invaluable. I qualified as a pharmacist in 1981 and practiced in various fields of pharmacy. I completed a Bachelor of Medical Science Honours in Pharmacology in 1988. I was fortunate enough to be able to follow my passion which was to leave Pharmacy behind and to study to become a Psychologist. I did my Masters in Clinical psychology at Wits University and qualified in 1996. I work with adolescents and adults in individual therapy who present with a range of difficulties. I have a special interest in couples therapy and I am an accredited Imago relationship therapist. Chris and I have two teenage children and we live in Hillcrest. Frequently couples come for assistance in their relationship feeling exhausted from years of ongoing conflict that never gets resolved; or they may have faced a recent crisis which threatens to rupture their relationship. I think that the most rewarding part of Imago relationship therapy is that despite these enormous challenges to the relationship, the Imago model focuses on the roots of the couple’s conflict being understood in such a way that it dissolves. In addition, deep and meaningful communication skills are learned and hope and safety between the couple is once again restored. The couple feels re-connected and exhaustion is replaced by gratitude and energy. The relationship comes alive again. This new found peace and joy then permeates other parts of the couples life such as the relationships with their children, their work experience and other meaningful relationships.